New Canadian homeowners in Nova Scotia may be eligible for a significant tax credit. The first-time homebuyer tax credit in Nova Scotia is similar to the program in the United States. Canadian citizens who are eligible for this tax credit must claim the reimbursement on their taxes the following year, not during the homebuying process. In addition, new homeowners must meet certain eligibility requirements prior to receiving the tax credit. The Canadian Department of Revenue allows for a set deduction for partners and individuals. This tax credit is based on $5,000. To figure the credit, the Department of Revenue multiplies the lowest tax bracket in the country (15 percent) by this figure. The resulting figure is $750. This is the maximum benefit that an individual or married couple can receive back. This figure is applicable for all homeowners who acquired their houses after Jan. 27, 2009. This figure is subject to change each year so citizens should check back for updates at the end of each year. The goal of the first-time homebuyer tax credit is to stimulate homeownership among a new portion of the population. Therefore, in order to receive this tax credit, Canadian citizens (individual borrowers and married partners) must not have owned a piece of property in the preceding four years. Disqualification will occur on these applications even if one of the borrowers was in a previous marriage and had a home. The new home purchased must meet the regulations in order to qualify for a first-time homebuyer credit. Qualifying properties include: single family homes, condos, one- to four-unit buildings, townhouses, shares in co-op buildings (as long as you have an equity stake in the property and not simply rights of tenancy) and semi-detached homes. Mobile homes do not qualify. 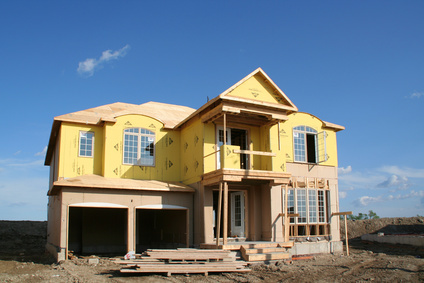 Both constructed homes and homes under construction qualify for this tax credit.